A 3100 lumen self-contained tech-light with a compact body. The Big Blue TL3100P LED Tech Light is a fantastically bright torch, suitable for recreational and tech divers who are looking for a reliable and robust dive light. 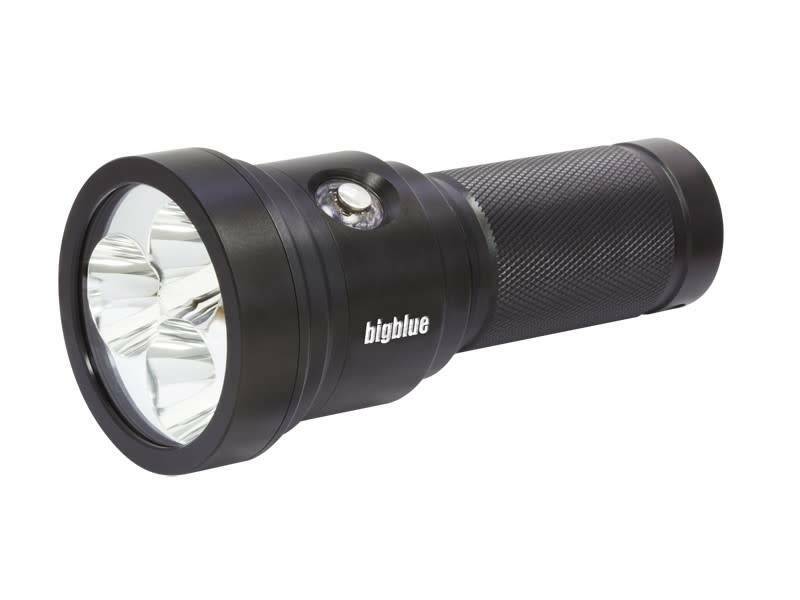 This is a compact, self-contained light which gives out 3100 lumens and has a reliable push button operation with battery indicator. You can choose from four levels of brightness and SOS function. At the highest level of brightness the burn time is an impressive 1.5hrs and the light comes with its own rechargeable battery pack. At only 447g this is deceptively light for such a powerful light and is used by a number of members of the Dive Academy team as their primary light. A lanyard and Goodman handle are both included with the light. At only £299 this is a massive saving of £100 on the RRP - a bargain price for such an outstanding accessory.